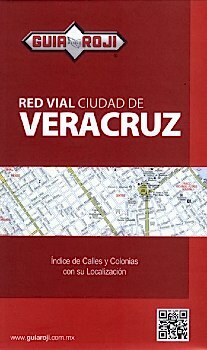 Detailed street map of Veracruzcity. Includes street index and a city center map at 1:13,000. Indexed locator map shows surrounding cities. Scale 1:20,000.